Join us for some Holiday fun and learn to fold Paper Trees. 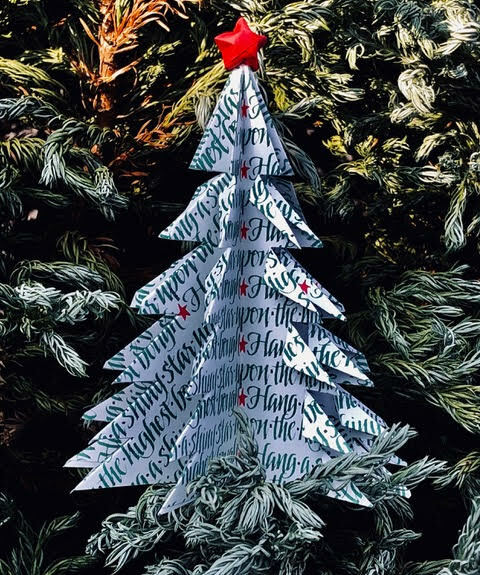 We’ll have everything you need, however, if you want to bring a square piece of your “calligraphy practice” on lightweight paper, it can be folded into a wonderful Paper Tree and you’ll be amazed at the transformation. 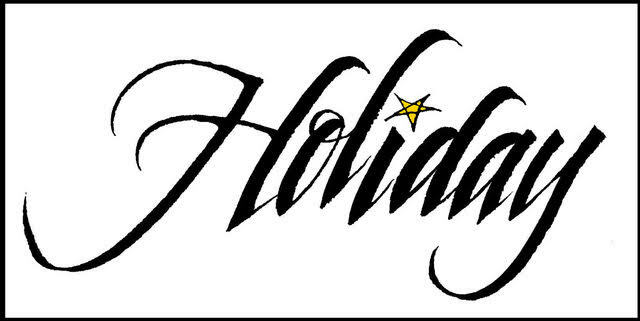 We are also inviting you to share your collection of handmade holiday cards. Those wonderful gifts we get each year from our talented, generous, artistic friends. We can each a have a display area, so the cards don’t get mixed up. These cards are treasures and can be so inspirational!